Solihull-based Secure Trust Bank Commercial Finance has backed specialist boiler installer JCM Heating and Renewables with a £400,000 funding facility. The Sale-based company, which is backed by Sale Sharks’ head coach Steve Diamond, provides installations of gas condensing boilers to homeowners and businesses across the UK. It has sites in Birmingham, Liverpool and London, in addition to its North West headquarters. JCM is an accredited Green Deal installer and is currently experiencing an increase in demand following the launch of the Government’s flagship energy efficiency scheme. Secure Trust’s invoice finance facility means JCM can grow further and the firm is set to invest in two new sites in Leeds and Newcastle. Jon Mitten, managing director at JCM, said: “As a business, our aim is to be the number one provider of gas condensing boilers in the UK. David Green, regional sales director at Secure Trust Bank Commercial Finance, said: “JCM is a strong business with an excellent growth strategy looking to target further sites across the UK. 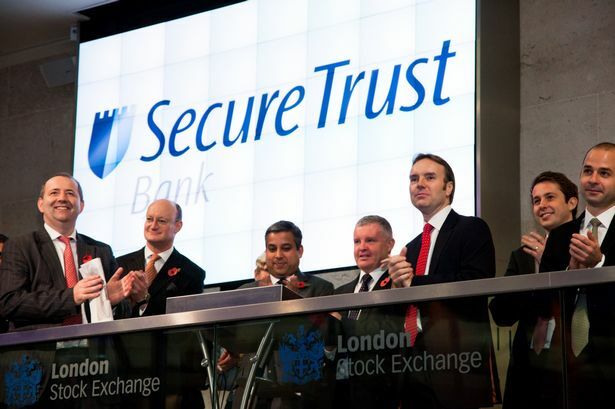 Secure Trust Bank launched its commercial finance arm in September and has teams in Birmingham, Manchester, Leeds, Bristol, the south coast and London.